Barb, Jim & Sam. Abby the dog . 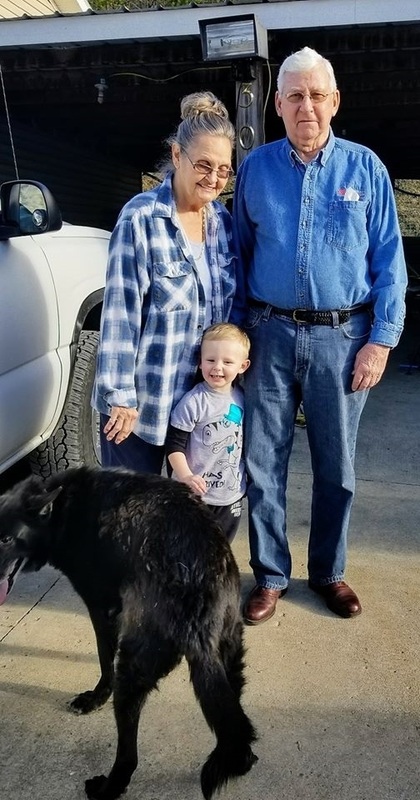 My mom & dad who are in Kentucky with my grandson and their great grandson Samuel. And of coarse Abby the German shepherd had to make her appearance as the photo was taken.